Get bitten by a spider monkey, eat some dog poop or maybe even smooch a zombie. Combine afflicters with the correct symptoms and you’re on your way to creating deadly disease matches! Race and compete with your friends to catch the available diseases on the table. From the mild and common likes of the ROFL-itus to the uber rare Elbowla, the deadly choice is yours! Managed to create a lethal match? Great! Share your unique diagnosis to the group and throw in some backstory for added effect. With over 200 unique cards, the combinations are vast! Did your disease have an outbreak? Interact with other players by sneezing, puking and farting to get you ahead of the game. 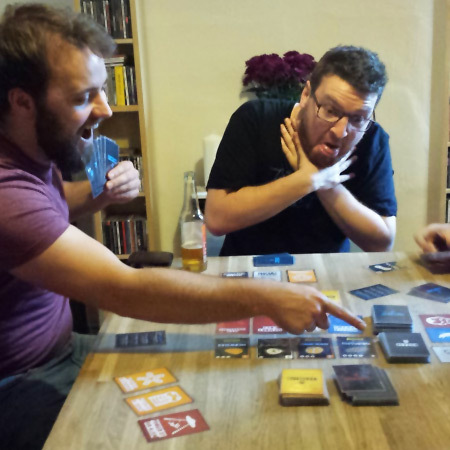 My name is Jason Hibbert from Nottingham UK, I work as a full-time Senior Web Designer by day and Boardgame Designer by night. I’m also the mind behind the independent game publishing company: Sketchy Games. The kinds of games that inspire me the most are the ones that have a great re-playability, easy to pick up for the casual player and gives the control to the player. This was always my goal with Death Wish and it’s something I hope the public will also love. Death Wish is a game that I have created primarily solo so it’s actually quite a personal project to me. I’m lucky to already have a background in design and print so it means that I’m able to take 100% direction and control on all aspects of this game. This, combined with the fantastic support from friends, family and playtesters throughout the project’s life cycle has really helped with progress. One day, I was sat on the bus home from work, staring blankly out the window at the rain and considered what I should have for dinner that evening, when it hit me; Make a party game about DYING. Have you played a game like that? I haven’t, so I decided to experiment with a few ideas and, well to cut a long story short, I created Death Wish! That’s how games are made, folks. Death Wish is comprised of three core elements. Firstly, competition between players when racing to catch diseases. Secondly, enabling players to interact and target each other in order to get themselves ahead. Finally, declaring bizarre combinations of diagnosis to the group. It’s what makes Death Wish a unique party gaming experience each time it is played! Want to know more about my game development journey? Visit the blog. Death Wish was successfully funded on Kickstarter in July 2016, reaching over 210% funding and unlocking all stretch goals. 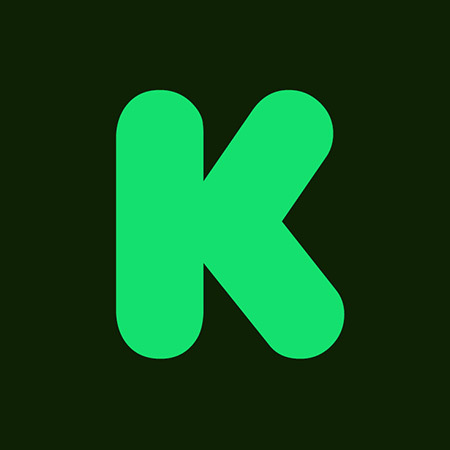 A combined 654 backers pledged to make the project happen which is astonishing. We aim to bring the game to the mass market so it’s available for everyone to enjoy. 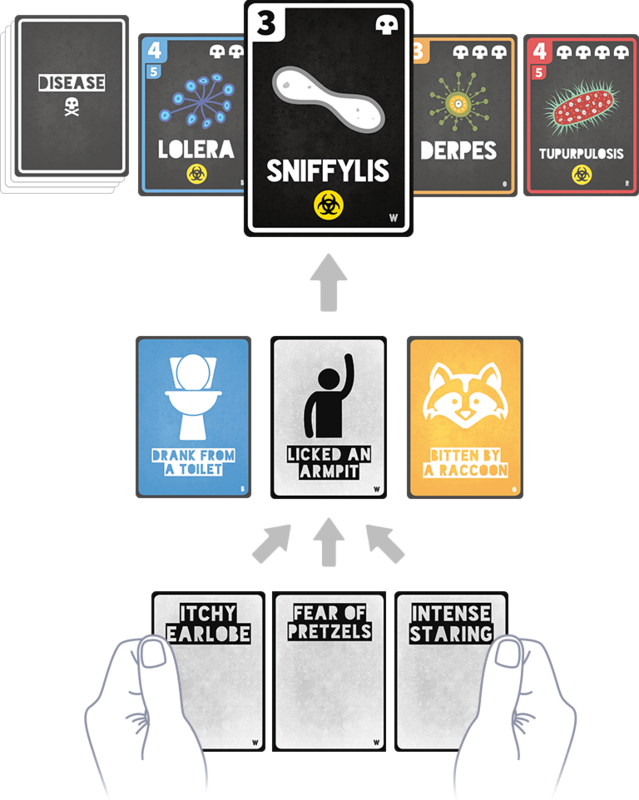 The campaign offered much in the way of Kickstarter exclusive content, including a custom named disease card, Death Certificate and backer contributed NSFW addon pack. 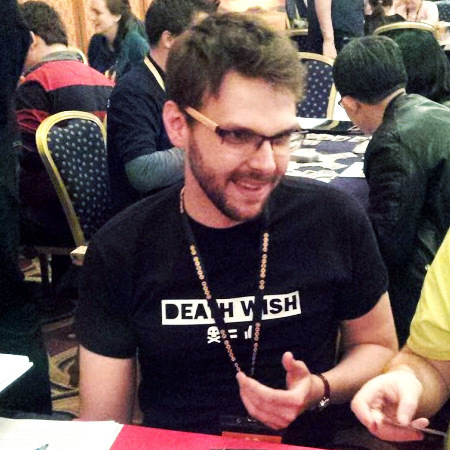 Death Wish was the first game published by Sketchy Games and has helped fuel their future game publishing career. To find out more about what Sketchy Games has been working on, visit the website.